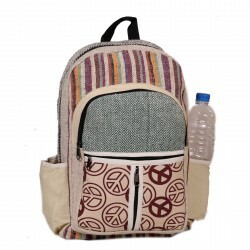 This is a purse made from cotton with multi-coloured stripes designs. 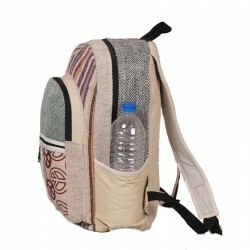 It has internal compartments for carrying coins and notes plus keyrings for keys. It weighs 100 grams and can be folded and fastened with velcro.